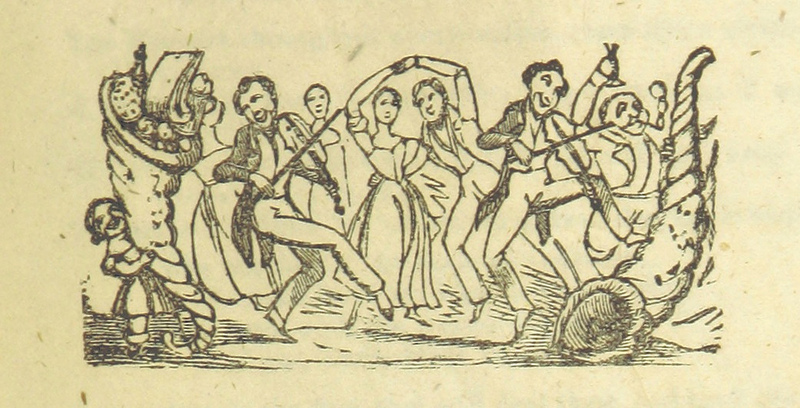 To celebrate Christmas and the slow tip of the Earth from dark to light, here’s a lilting hornpipe that will fill you with a warm glow and dance you through these last days of the Old Year. 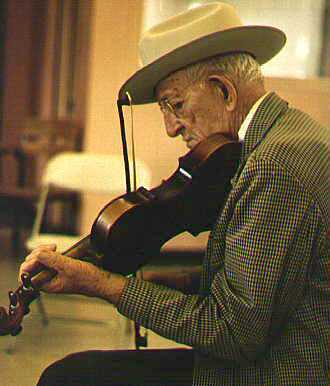 But this is a hornpipe with a difference – a Texas fiddle tune, known from the playing of Alexander ‘Eck’ Robertson, of Amarillo, Texas (1886-1973). First up, Haas, Walsh and Marshall introduce the hornpipe with haunting Indian/world music overtones before whirling into their lyrical arrangement. Second, icon of American fiddling Bruce Molsky plays a ringing, fast-but-clear rendering that will help musicians catch tune and chords. You can hear Eck Robertson’s original 1929 recording on Larry Warren’s Slippery Hill here. 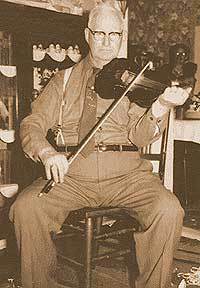 Grigsby’s Hornpipe is generally played with the fiddle tuned AEAC# – known as Calico tuning. Bruce and Brittany are both playing in Calico. For more information on cross-tuning, see notes under Newt Payne’s Tune, or see Wikipedia’s excellent page here. For more cross-tuned fiddling here on Fiddletails, search ‘cross-tuning’ in the Search Box. Filmed at a pre-Christmas house concert in Rhinebeck, NY, December 2013. Bruce plays the hornpipe first in a set with Pickin the Devil’s Eye. Filmed during a live recording at the Magnolia Avenue Studios of KDHX, St. Louis, Missouri, March 2011. The trio’s EP is available on Bandcamp, here. Bruce Molsky: website Sign up here for music and news from Bruce’s fab ‘from the road’ newsletter, including tunes from his great band Molsky’s Mountain Drifters. Wishing tunecatchers everywhere a very Merry Christmas, and a year to come that’s full of light and hope and joy for all. And music, of course! 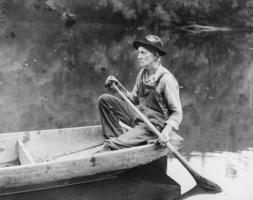 A lovely American old-time tune with a title suggesting Civil War origins, often associated with Ernie Carpenter (1907-1997), an acclaimed fifth-generation fiddler from Braxton County, West Virginia. From the playing of Ernie Carpenter. The video was made for Andy’s students at the Wellington Bluegrass Society fiddle workshops. Fiddle tuned AEAE. Fiddle/banjo duet, fiddle tuned AEAE. Ernie originally learnt this tune from family friend and neighbour Wallace Pritchard. This Tennessee old-time tune is simple in structure, but its chiming arpeggios are great fun to play on fiddle and banjo – and hopefully on box/accordion too, which I understand often don’t gel with old-time tunes. 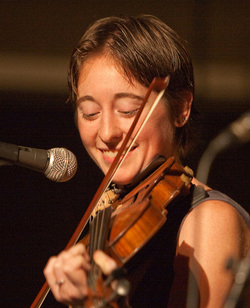 Three videos featured in this post: one solo fiddler, one fiddle/banjo concert performance, and a link to an excellent teaching video. 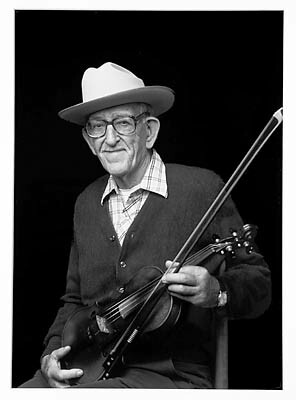 Fiddler and banjoist Newt Payne (1904-1977) was born on South Pittsburg Mountain, Tennessee, and worked most of his life as a miner. 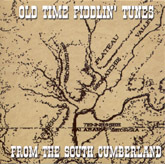 * Old Time Fiddlin’ Tunes From The South Cumberland, available here. Of course, you can still play the tune in standard tuning GDAE, though it will be more difficult to catch the lower drones, and the glorious ring will be lost. A resounding version in G (fiddle tuned GDGD/Sawmill tuning), recorded for Katie’s long-running, encyclopaedic New Tune A Day project. Katie’s newtuneaday.blogspot and Youtube channel are stuffed with brilliant tunes, and well worth rummaging around in. She has also compiled a NTAD tunes e-book, available through her blog. A really clear and well-paced teaching video here, produced by a trio of tutors from the Portland Old Time Stringband Class. (I’ll embed the video once I’ve received full permissions from all players). Key: A (AEAE/cross-tuned). The Portland Old Time Stringband Class YouTube channel habibanola has many old-time videos, with more accessible via their website neighborlymusic.net.